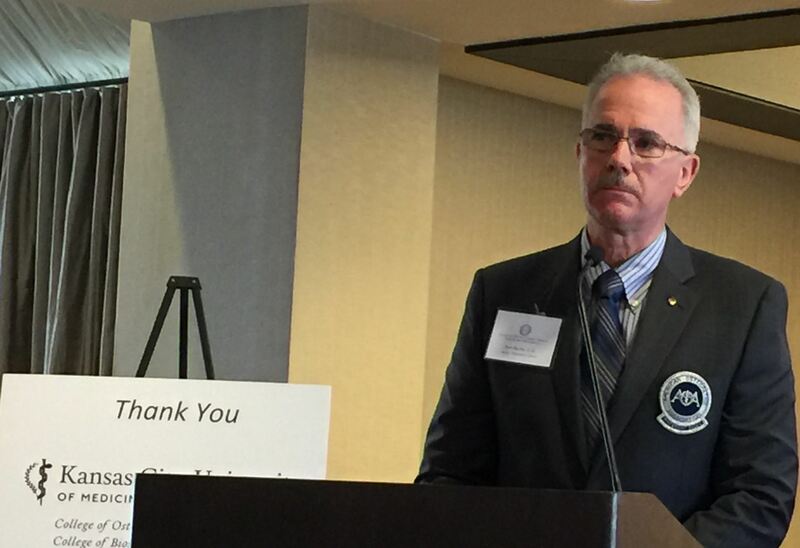 AOA President-Elect Ron Burns, DO, gave an Mid-Year Conference update on the national association on Nov. 2nd during the KAOM Mid-Year Conference. Membership in KAOM offers a number of valuable rewards. 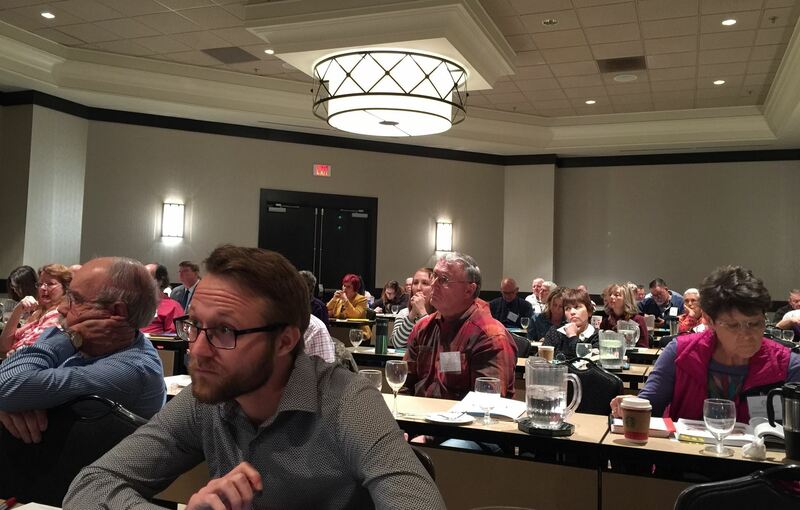 Among them is the opportunity for osteopathic physicians to advocate for their profession, unite with their peers for the purpose of promoting common interests, and receive relevant and timely CME. The KAOM Mid-Year Conference and Scientific Exhibits on November 2-3, 2018 featured timely topics and thought provoking presentations. 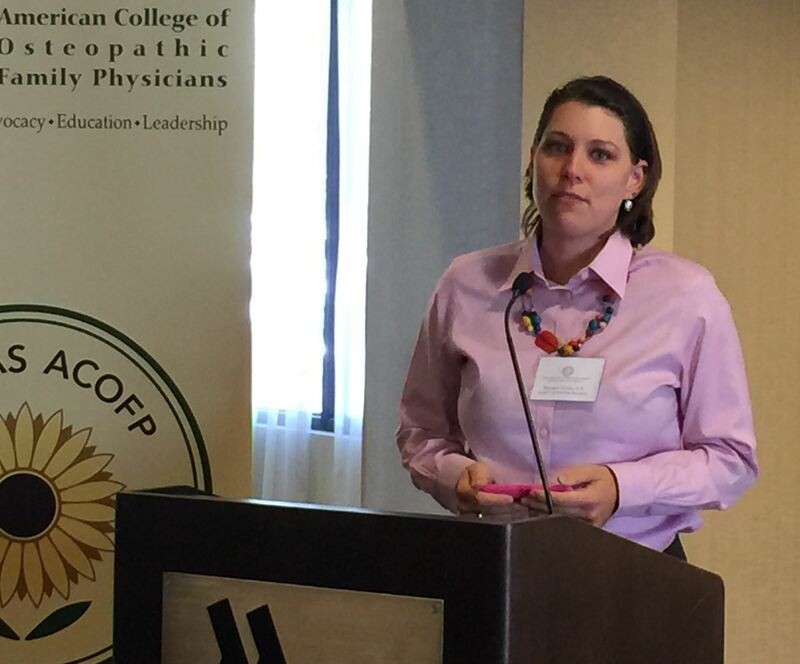 Left: Racquel Stucky, DO, KS Chapter ACOFP scholarship recipient. 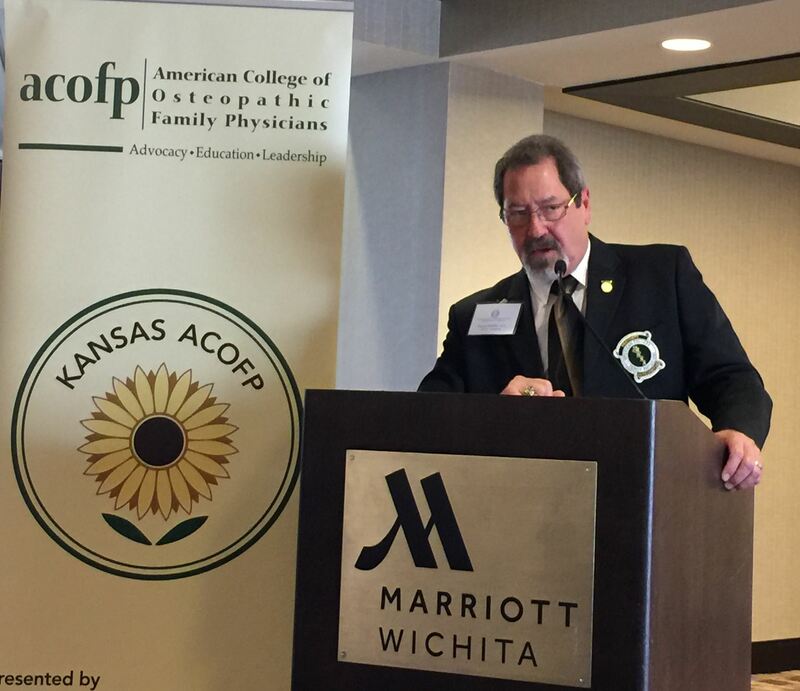 Right: ACOFP President Duane Koehler, DO provided an update at the Kansas Chapter's Annual Meeting during the Mid-Year Conference.